“ABBONDANZA!” I wholeheartedly agree. There’s an abundance of correct. Tenspeed Hero have been on a tear recently. Technically the tear has been voor the past year, but that would put them in the *not normal* section of the Suspicion Index, so we’ll simply go with recently. 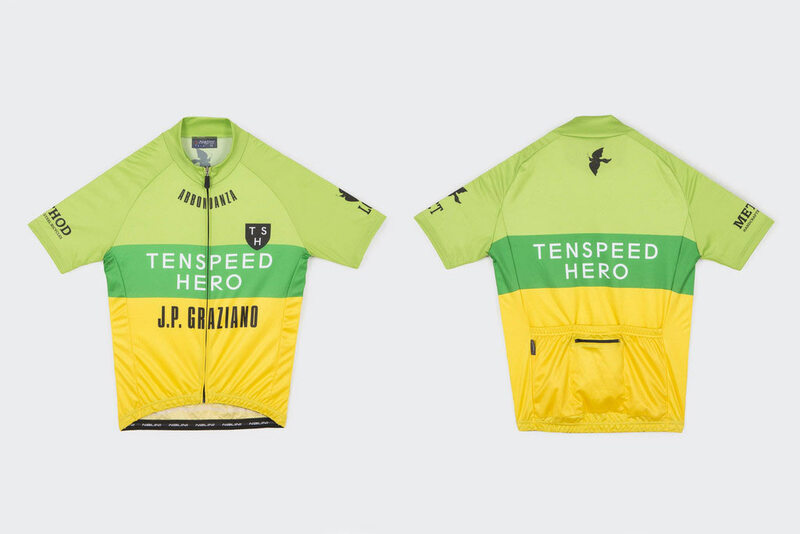 Further complicating the “which jersey” issue, the Heroes have released their TSH Racing Team Jersey ($100USD). It is crafted of the finest Italian stuff available to the tailors of MOA/Nalini. Tastefully highlighted across the face of this Ellsworth Kelly inspired jersey are the sponsors of the Heroes.